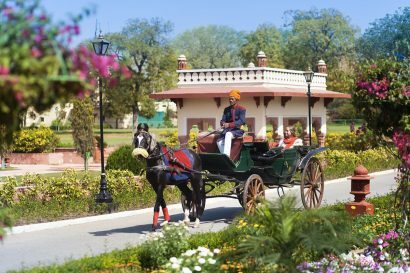 General Manager- Jai Mahal Palace Jaipur since May 2018, Resident Manager Taj Mahal Delhi from May 2016 till May 2018. Worked in Hyatt USA prior joining the Taj Hotels. 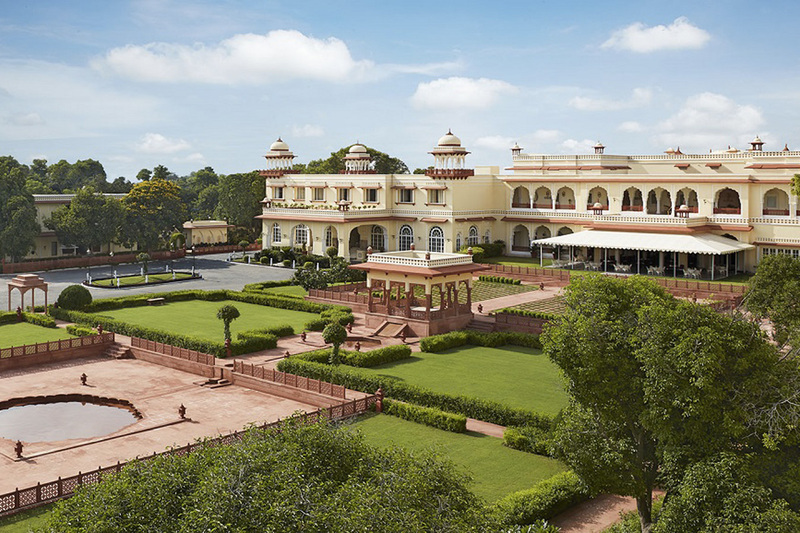 Jai Mahal Palace, the former residence of the Prime Minister of the princely state of Jaipur, is steeped in history. 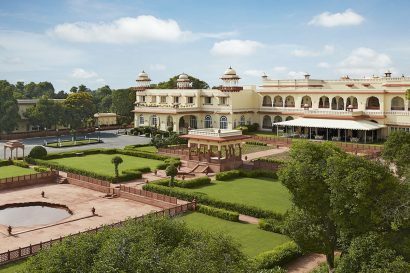 The majestic palace, a vast complex of regal rooms, pretty pavilions and charming colonnades set amidst 18 acres of landscaped gardens, traces its origins to 1745. 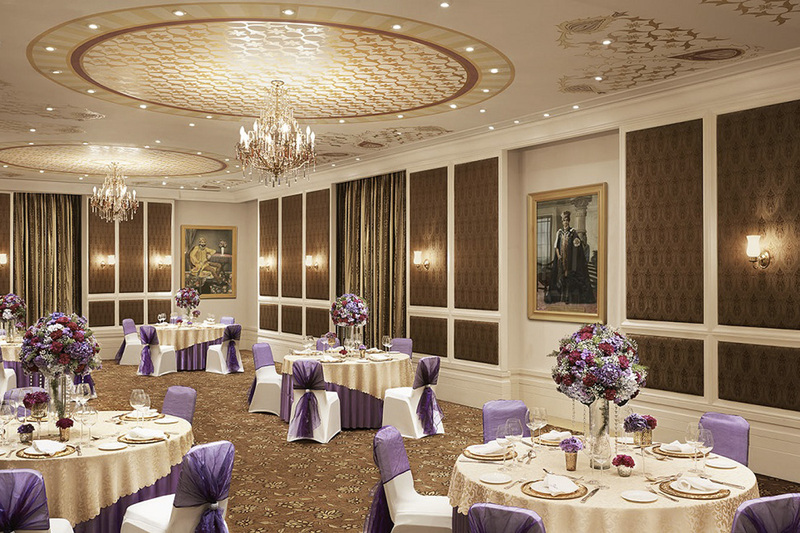 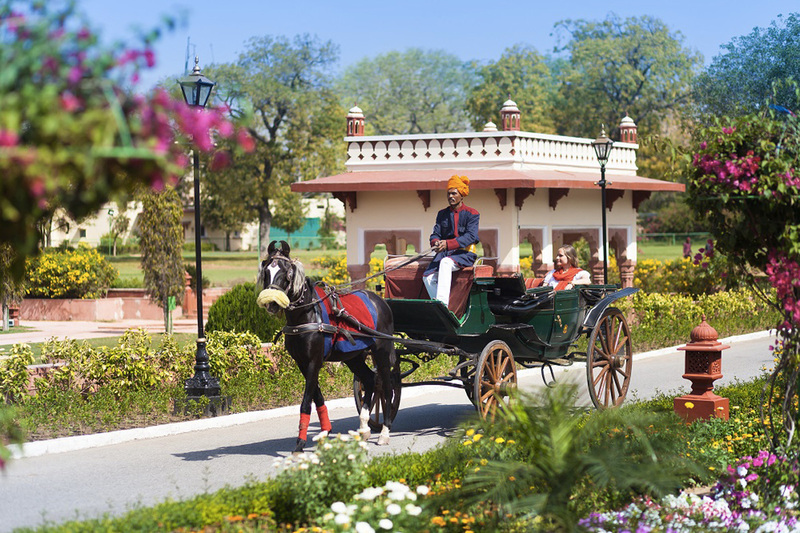 With its blend of history, elegance and luxury, the heritage hotel is a perfect destination for visitors to Jaipur. 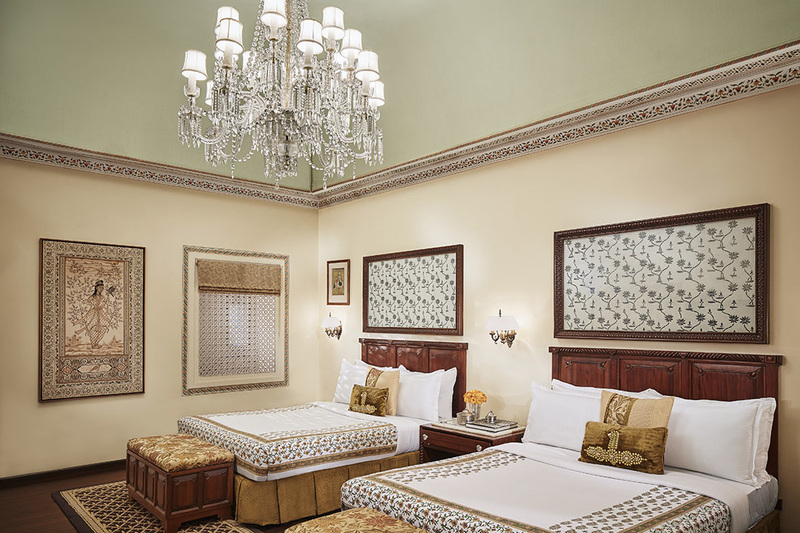 The heritage palace has been painstakingly restored and recently refurbished to offer guests the exclusive experience of a royal lifestyle complemented by legendary Taj hospitality. 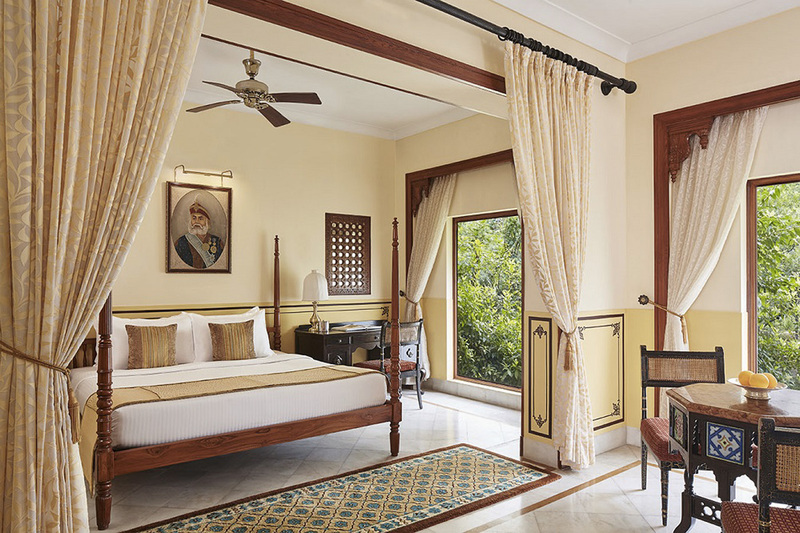 Jai Mahal Palace Jaipur – an original palace with a rich and interesting history offers guests the exclusive experience of a royal lifestyle complemented by the legendary Taj hospitality. Hertiage Value- original Palace, Brand Taj affiliation, Location: Civil Lines (Heart of the city) Revamped F & B outlets- Variety in different cuisine. 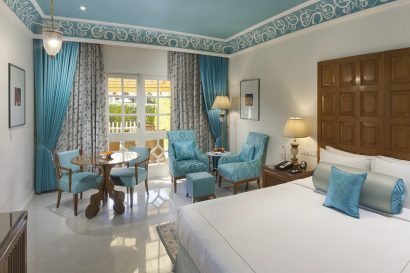 18 Acres lush green gardens & beautiful landscaping, an oasis of tranquillity, Unique Dininig experiences, ideal for family getaways and Couple holidays. 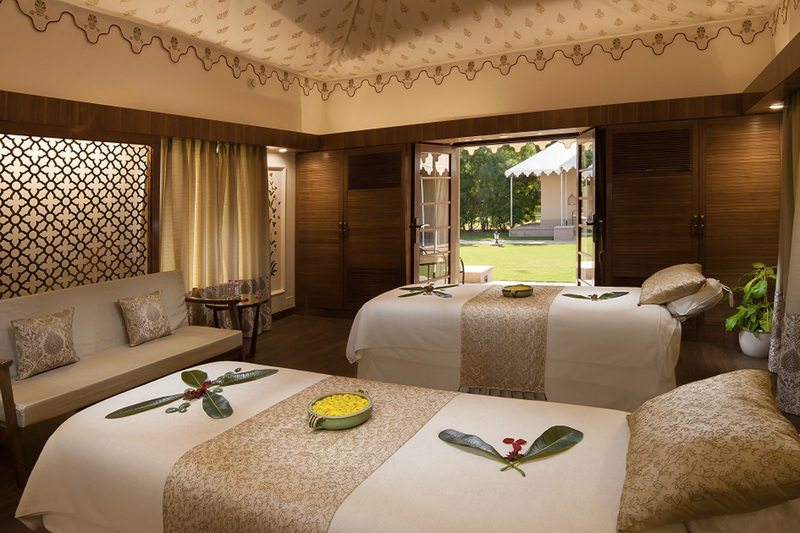 Deluxe rooms: Our Deluxe Rooms are traditionally decorated with period furniture and Rajasthani paintings. 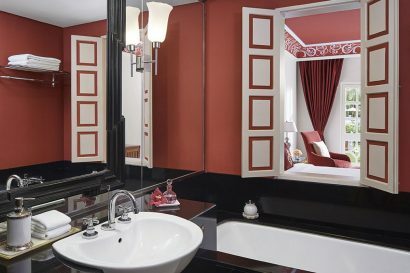 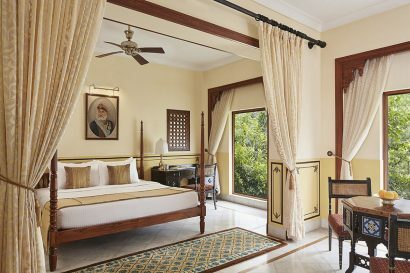 Luxury rooms: Enjoy the rich handicrafts and heritage of Rajasthan in the turquoise and red Luxury Rooms, alongside the comfort of modern amenities. 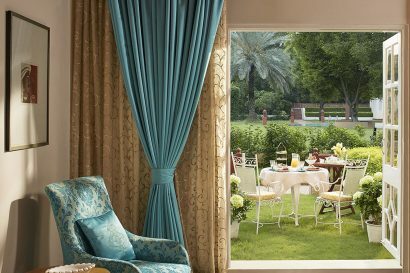 Luxury room with Sit out: The private verandah allows one to enjoy a morning cup of tea or evening cocktail with views of the landscaped lawns or the pool. 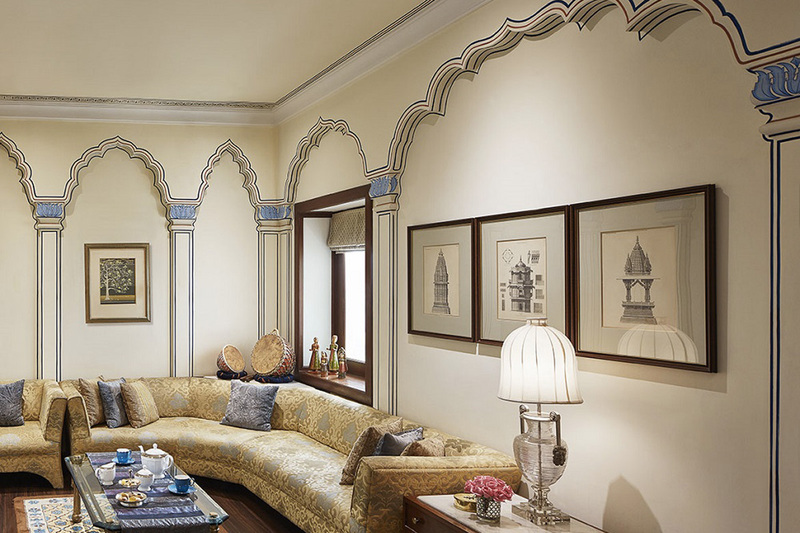 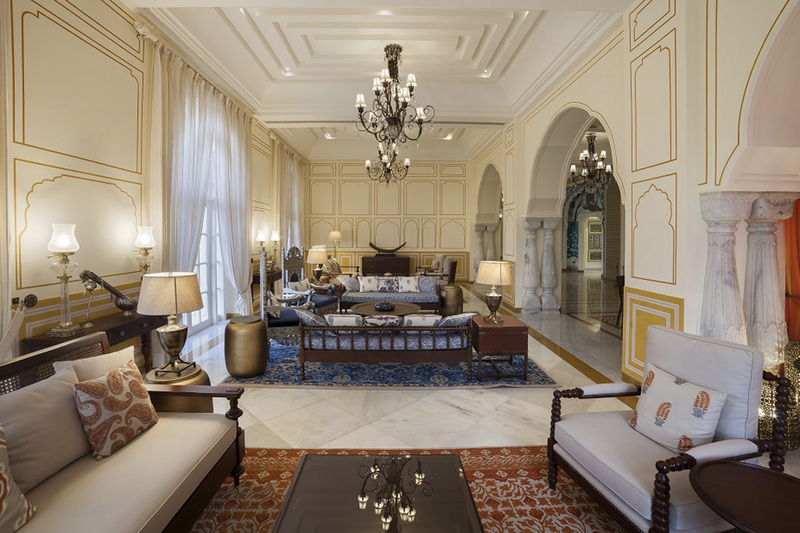 6 Suites: Themetic Suites with 18th century architect who conceived the city of Jaipur. Pinks and blues; arches and columns like in Jaipur’s old painted palaces; and rare architectural prints create the look. 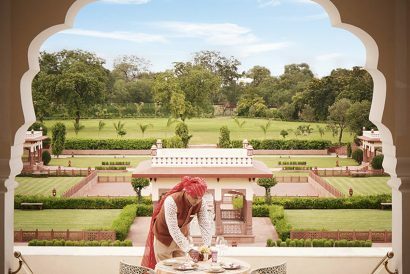 Traveller’s Choice Award 2017 by Trip Advisor.